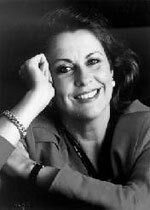 Yvonne Kenny was born in Sydney and made her operatic debut in London in 1975 as Donizetti's Rosmonda d'Inghilterra. After winning the Kathleen Ferrier Competition she joined the Royal Opera House Covent Garden, where her roles have included Pamina (Die Zauberflöte), Ilia (Idomeneo), Susanna (Le nozze di Figaro), Adina (L'Elisir d'Amore), Liu (Turandot), Aspasia (Mitridate) and Donna Anna (Don Giovanni). She has won international renown in the great Handel roles, notably Semele and Alcina (Covent Garden and La Fenice Venice) Romilda (Xerxes) for English National Opera (in London and on tour to the USSR) and the Bavarian State Opera, Alcina with Nicholas McGegan at the Göttingen Handel Festival and both Cleopatra (Giulio Cesare) and Armida (Rinaldo) in Sydney. She has sung at the Vienna State Opera, La Scala Milan, Berlin Staatsoper, Paris Opera, Hamburg, Zurich and Glyndebourne, in Washington and for the Bayerische Staatsoper, Munich. Yvonne Kenny appears regularly in concert throughout Europe, Australia and North America and has appeared at the Edinburgh, Salzburg and Aix-en-Provence Festivals, in Carnegie Hall and is a regular guest at the BBC Promenade concerts. Yvonne Kenny was made a Member of the Order of Australia for Services to Music in 1989 and in 1999 was awarded an honorary Doctorate of Music by the University of Sydney.